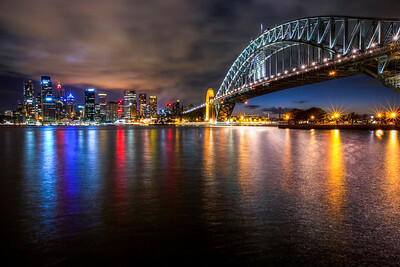 Look at Luna Park Under the Harbor Bridge with the Opera House off to the left. 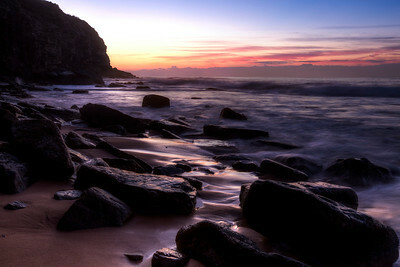 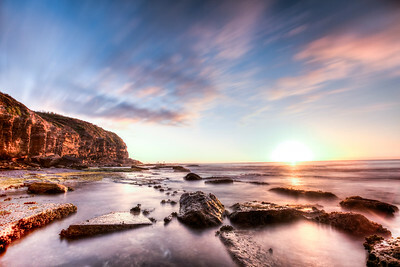 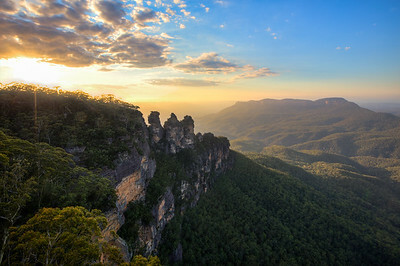 The sun hitting the eastern coastal cliffs of Australia as wave crash around me. 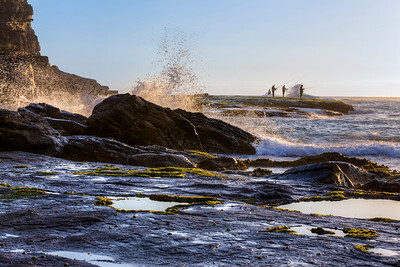 I take the long exposure to blur the clouds and flatten the water, but you can still make out the fishermen off in the distance. 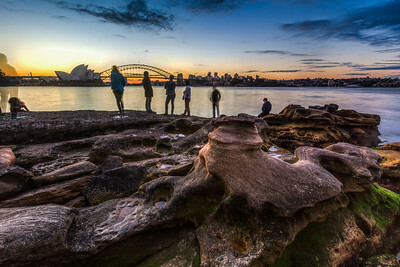 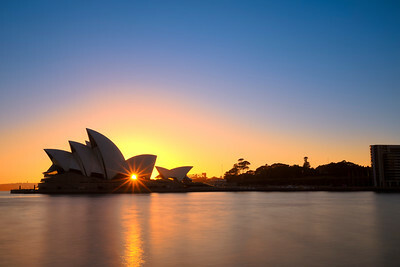 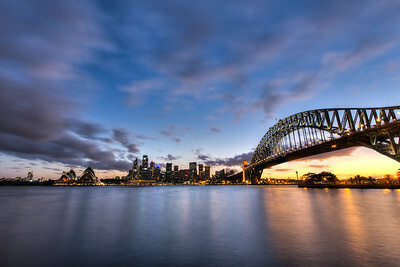 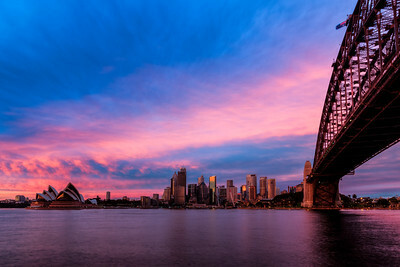 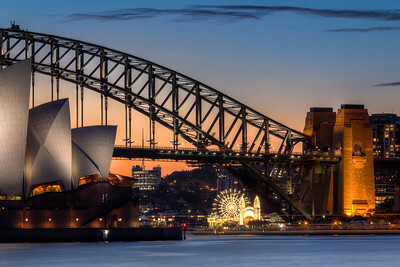 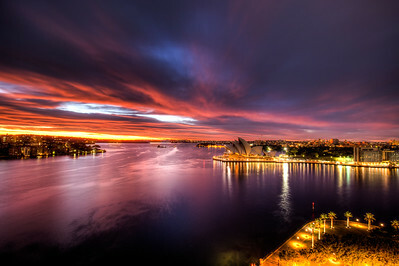 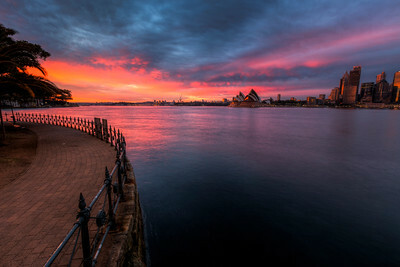 Early morning, before all of the tourist awake, capturing the North Sydney skyline from the south shore. 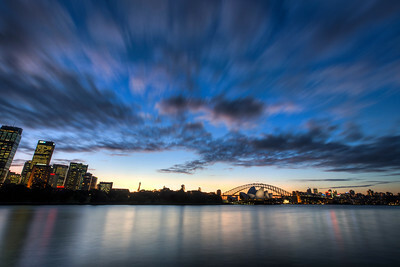 This is the skyline of Sydney from the north shore. 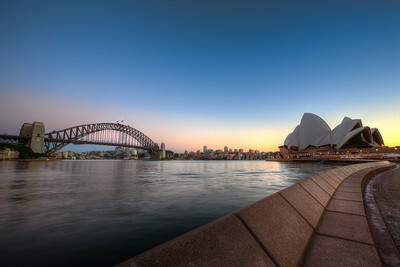 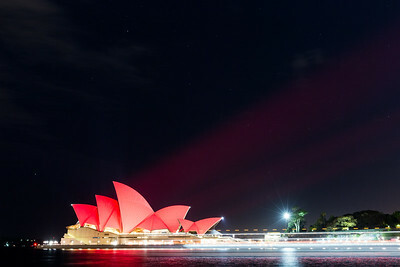 You can see the Opera House on the left and the Sydney Harbor Bridge on the right. 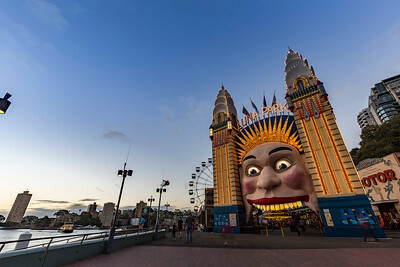 Early evening as Luna Park has just been illuminated for the evening.